I was writing earlier today about how one working-class member of the Stafford family was deprived of his right to the family’s title in 1639 because of his poverty and his ‘lowly birth’ so that the Stafford titles could pass by sleight of hand through obscure lines of descent to his distant cousins who were seen as being more socially acceptable. Contorted genealogical constructions robbed one line of descent of its inheritance, but supported the claims of another branch of the family despite its associations with the Titus Oates plot and with Jacobite exiles in Paris. When I was visiting Newcastle West, Co Limerick, recently, I was fascinated to learn the story of the former local landlords, the Courtenay family, and how they managed to convince the House of Lords two centuries ago to allow them to assume the title of Earl of Devon, although the title had died out and for centuries had been considered extinct. Once again, contorted genealogical constructions conveyed an ancient inheritance through an obscure line of descent. Following the suppression of the rebellions by the Earls of Desmond at the end of the 16th century, the Courtenay family acquired the former Desmond castle that gives its name to Newcastle West, as well as large tracts of the surrounding countryside. Local lore claims the Courtenay family were Roman Catholics throughout the late Tudor and early Stuart periods. 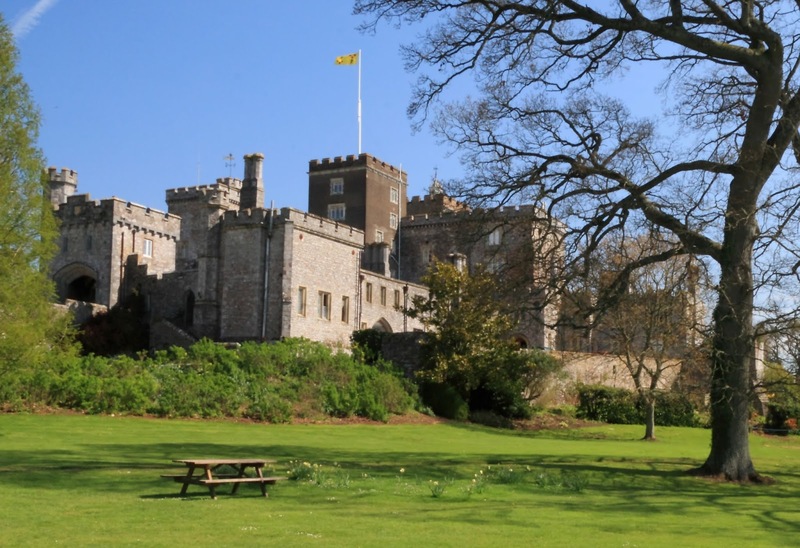 But many prominent members of the family were Anglican priests, and the title of Earl of Devon was recovered through a clever genealogical sleight of hand by one family member who was the son of an Anglican bishop. Although their house was burnt down during the War of Independence, the Courtenays and the Earls of Devon were regarded as benevolent landlords in west Limerick, building bridges, roads and courthouses and donating sites for churches, schools and hospitals. Newcastle West first came into the hands of the Courtenay family in 1591 when the castle and lands were granted to Sir William Courtenay (1553-1630) of Powderham Castle in Devon. His grandson, Sir William Courtenay (1628-1702), was a 10-year-old boy when he inherited these vast estates in west Limerick, including the castle at Newcastle West, after the death of his father, Francis Courtenay, at Powderham Castle in 1638. This younger Sir Francis Courtenay lived at Powderham Castle, but his castle at Newcastle West was often referred to as Courtenay Castle. During the English Civil War, he was a supporter of King Charles I, who rewarded him with the title of baronet in 1644. However, Courtenay disdained this newly invented title, which had the appearance of an hereditary knighthood, and his name was not included in the list of baronets. When he died in 1702, the title of baronet, along with Powderham Castle, Newcastle West and his estates in Co Limerick, passed to his grandson, Sir William Courtenay (1676-1735), 2nd Baronet. He, in turn, was succeeded in turn by his son, Sir William Courtenay (1709-1762), third baronet, who became a peer with the title of 1st Viscount Courtenay, and by his grandson, William Courtenay (1742-1788), 2nd Viscount and fourth baronet. This last William Courtenay had a large family of 14 children – 13 daughters, who were excluded from succession to the family estates and titles because of their gender, and one son. The only son, William Courtenay (1768-1835), was known from infancy as Kitty, and was sometimes referred to as the most beautiful boy in England. 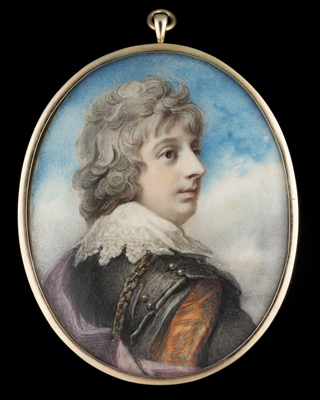 At the age of 10, he began a long, gay affair with the art collector William Beckford of Fonthill Abbey, who was eight years his senior. Courtenay’s lifestyle brought notoriety and infamy. Facing prosecution and certain imprisonment, he fled England, living in exile first in New York and then in Paris. Shortly before he died, his extended family realised that the title of Viscount Courtenay would die out, because there were no sons or brothers to inherit it, and that the title of baronet would pass to his second cousin, William Courtenay (1777-1859), who had been MP for Exeter (1812-1826). 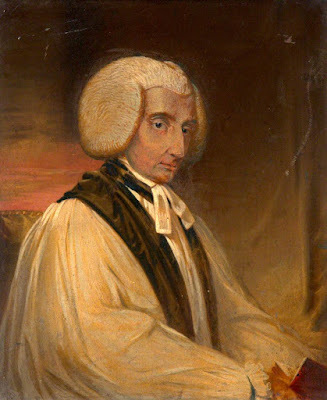 This William Courtenay was the eldest son of Henry Reginald Courtenay (1741-1803), Bishop of Bristol and later Bishop of Exeter. When he resigned as MP for Exeter in 1826, William became clerk-assistant to the House of Lords, with the then-princely annual salary of £4,000. In addition, his large estates in Ireland gave him £90,000 a year. But he was a generous landlord and a conscientious and liberal-minded politician, supporting Catholic Emancipation and opposing the death penalty. With his position in the House of Lords, Courtenay was well placed to advance fresh claims that his shamed and exiled cousin was the rightful 9th Earl of Devon, although it was long believed that the title was extinct since 1556. The claim to the title was allowed on flimsy grounds by a decision of the Lords in 1831. Of course, fearing imprisonment, his disgraced cousin never returned to take his seat among the peers. Instead, he died in Paris in 1835 at the age of 66. His kinsman, William Courtenay, now succeeded as 10th Earl of Devon and to Powderham Castle and the expansive family estates in Ireland that he already controlled. The Courtenays became the largest landlords in Co Limerick, owning up to 85,000 acres in the south-west of the county. In the past, there have been four, if not five or even six versions of this title, and this has created confusion in numbering the earls. This confusion has been compounded by other factors over the generations and down the centuries. After the Norman conquest of England, Baldwin de Redvers (died 1155) became the 1st Earl of Devon. When Baldwin de Redvers, 7th Earl of Devon, died in 1262 without leaving any children, the title died with him, and his estates passed first to his sister and then to her distant cousin, Hugh de Courtenay (1276-1340), who declared himself Earl of Devon. Whether he was the first earl in a new line of succession or the ninth earl through an obscure line of descent depends on your reading of the family tree. The Wars of the Roses proved disastrous for the Courtenay family. Thomas Courtenay, 6th (or 14th) Earl of Devon, fought on the Lancastrian side at the Battle of Towton in 1461, was captured and beheaded, and all his titles and estates were forfeited. As far as the Courtenay family was concerned, that might have been the end of the line for the title. Eight years later, in 1469, Edward IV gave the title of Earl of Devon to one of his leading Yorkist supporters, Humphrey Stafford (1439-1469), a kinsman of the Stafford family I was discussing this morning. But Stafford was captured three months later and was beheaded. He became known as the ‘Three Months’ Earl,’ and the Devon title died out yet again. With another Lancastrian victory in 1471, Henry VI was restored in 1471. The attainders were reversed, and the title of Earl of Devon was now given to John Courtenay, 7th (or 15th) Earl of Devon, the youngest brother of the 6th (or 14th) Earl. Edward IV and the Yorkists returned to power later that year, John Courtenay lost all his honours and titles, and he died a few weeks later at the Battle of Tewkesbury. But the see-saw of the Wars of the Roses continued. Sir Edward Courtenay, a great-nephew of the 3rd (or 11th Earl), fought on the winning side at Bosworth in 1485. Two months later, the new Henry VII gave this Edward the title of Earl of Devon. He died in 1509, but his son and heir, William Courtenay, had lost all rights to succeed to the new (or old) titles. William had married Princess Catherine of York, a younger daughter of Edward IV, and his loyalty to Henry VII fell under suspicion. William was accused of conspiracy and was jailed. Under Henry VIII, he recovered his lands in 1511 and was given a new title, once again as Earl of Devon, this time as 1st Earl of Devon. But he died suddenly a month later. His son, Henry Courtenay, had the decisions against his father reversed in 1512, and so became 3rd Earl of Devon as his grandfather’s heir, and 2nd Earl of Devon as his father’s heir. In 1525, Henry VIII also made him Marquess of Exeter. However, he too lost royal favour and in 1538 he was beheaded for conspiracy and all his titles were forfeited. Henry’s only surviving son, Edward Courtenay, was a prisoner in the Tower of London for 15 years. He was released when Queen Mary came to the throne in 1553, and was made Earl of Devon. Once again, this was a new title, but it was claimed later that this time the letters patent granted the earldom to his heirs male. He was considered as a prospective husband for Queen Mary. But she married Philip II of Spain, and when he was mentioned as a possible husband for her sister, the future Queen Elizabeth I, he became a threat to Mary. He was implicated in a rebellion, and once again he was locked away in the Tower. In 1555, he escaped to Italy and died in Padua in 1556, probably by poisoning. With his death, his male line died out and the title of Earl of Devon died with him – or so it was believed for almost 300 years. James I presumed there was no Earl of Devon, and in 1603 gave the title to Charles Blount, 8th Baron Mountjoy. When he died three years later, James I then gave the title to William Cavendish, ancestor of the Dukes of Devonshire who made their Irish home at Lismore Castle in Co Waterford. And so matters rested until 1831, when William Courtenay persuaded the House of Lords that when the title of Earl of Devon was granted by Queen Mary to Edward Courtenay in 1553, the title was granted to the heirs male (haeredibus masculis). Because of the limited Latin words, it was argued this meant any male heirs forever, and not merely his male descendants. This argument meant the title could pass to his far-flung, distant cousins, the Courtenays of Powderham. In a legal fiction, William Courtenay (1527-1557), whose son was granted the Desmond lands in Newcastle West, became known retrospectively as the de jure 2nd Earl of Devon, although he was separated by centuries and by generations from the 1st Earl of the 1553 version. At times, the title, as conveyed through this decision, has been in apparent danger of dying out, again and again. The 12th, 14th and 15th earls died unmarried in 1891, 1927 and 1931, but male heirs were found in their immediate families. The legal ruling of 1831 is so absurd that it means any male Courtenay is potentially in the line of succession to this title without being descended from Edward Courtenay who died by poisoning in Padua in 1556. The Earls of Devon lost their estates in west Limerick over 100 years ago. 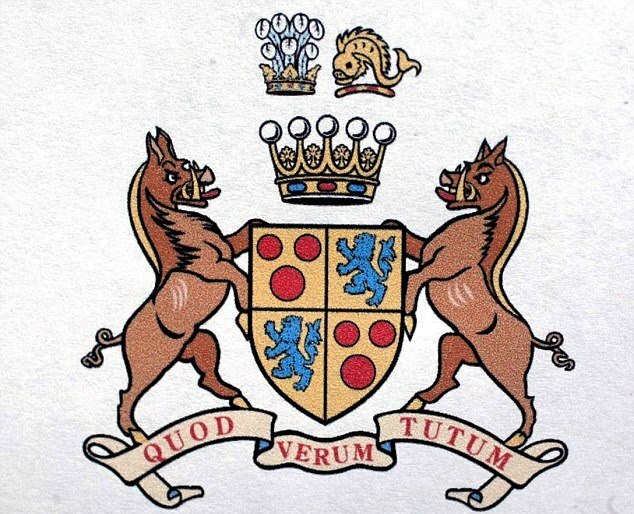 But while there is no longer an Earl of Devon in Newcastle West, it seems there will always be an Earl of Devon so long as there is a male Courtenay alive.